For those interested in what has been (wrongfully) called “reverse mission,” (which should otherwise be called non-Western missionary work in the West) there is a new resource coming. It is a book that I have written with the purpose of beginning to build cross-cultural bridges between African Christians and the West. It has been published as the 51st title in the American Society of Missiology Series of Orbis Publishing, Maryknoll, New York. The kindle version is already available here. And the print copy will be open for sale on November 30, 2014. 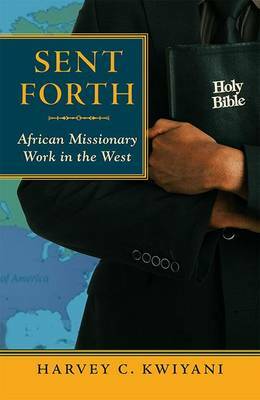 African missionary work in the West is not new. When you read church history, especially in the first five centuries of Christianity, African names are all over the place. Be it Apollos, Tertullian, Augustine, Athanasius, Arius, Anthony, and many others, African Christians have been involved in the West before. African immigrant Christianity is here to stay. Christianity is a migratory religion. Christian missions is very closely connected to migrations of people groups around the world. And it happens that in this day and age, the Africans are the most mobile people around. In addition, Africa is fast becoming the Christian stronghold of the world. African migration is to a large extent Christian migration. The African missionary movement may be the main missionary movement of the twenty-first century. African missionary work in the West is off to a really difficult start this time around. Many factors make it difficult for Africans to reach Westerners with the gospel; racism, culture, language, etc. Africans will need to overcome many barriers for their message to be received by Westerners. And this, I am confident, they will do.